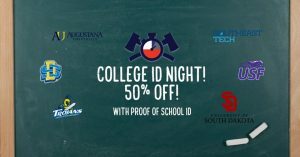 Come join Escape 605 EVERY Tuesday night for college night! Walk in’s welcome. 1/2 price admission with proof of college ID. Downtown location only!